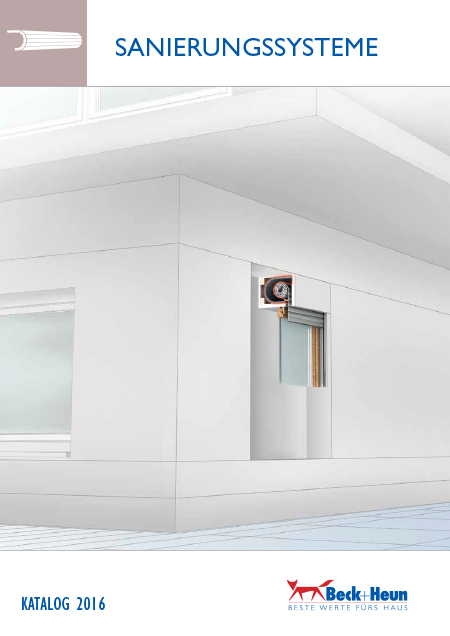 The Beck+Heun brand stands for more than 50 years of experience in the development of shutter boxes as its core product. From this core product an unrivalled product range of all variants has emerged. 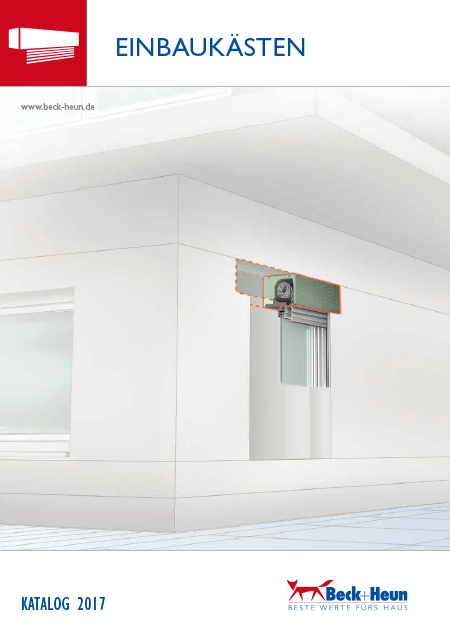 In addition, the product and service spectrum has been extended over time – Beck+Heun manufactures leading-edge shading and insulation solutions all around the window. The variety of built-in boxes is unique. 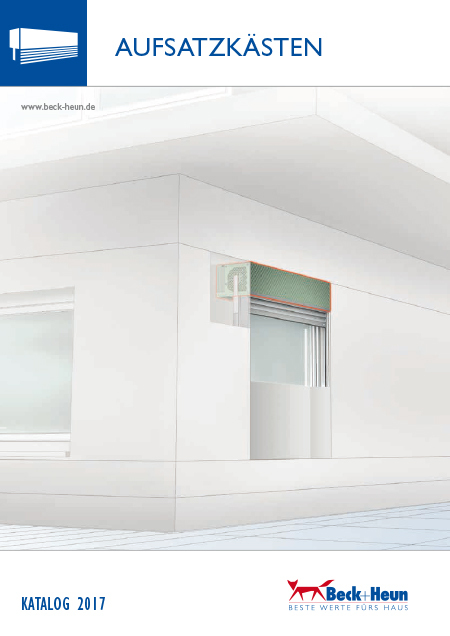 Chose from two equally efficient insulating materials: Polystyrene® or Neopor®. The systems can have a brick or concrete face or they can fully be made in one of these materials. They can be revised either from the outside or from the inside. Moreover, many special shapes are available. Foamed-in steel reinforcements ensure optimal stability. 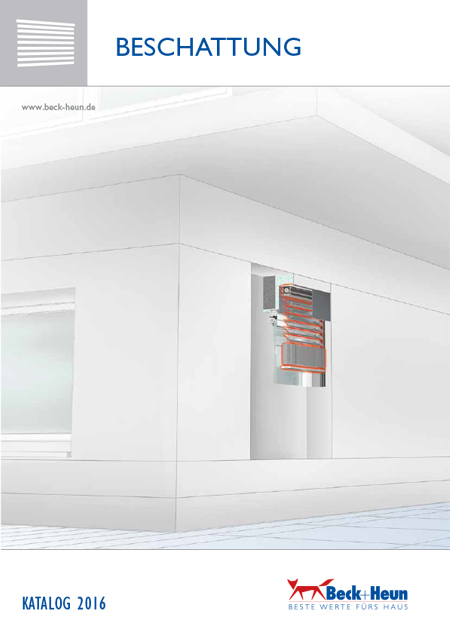 With 11 standard dimensions and many possibilities for special construction you will find at Beck+Heun the right shutter box for virtually every application. 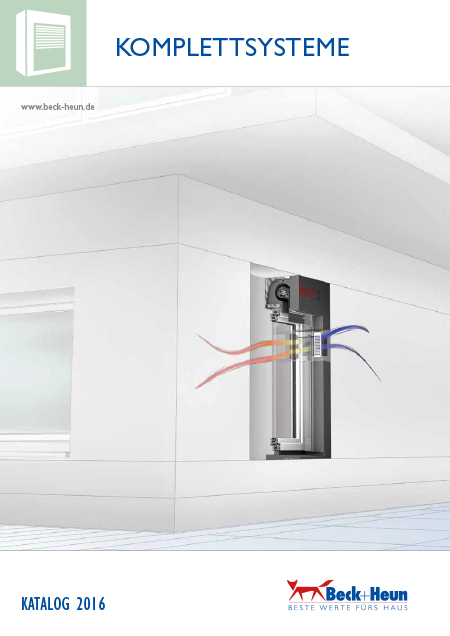 A unique installation concept, the innovative hybrid foaming process and the selection of the highly efficienct materials make top-mounted boxes from Beck+Heun among the most reliable and easy-to-install in their class. 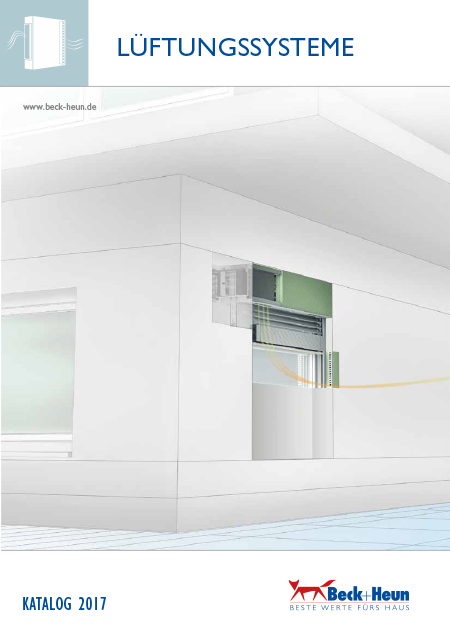 Cost savings through trade reduction, this is the promise of our prefame systems. 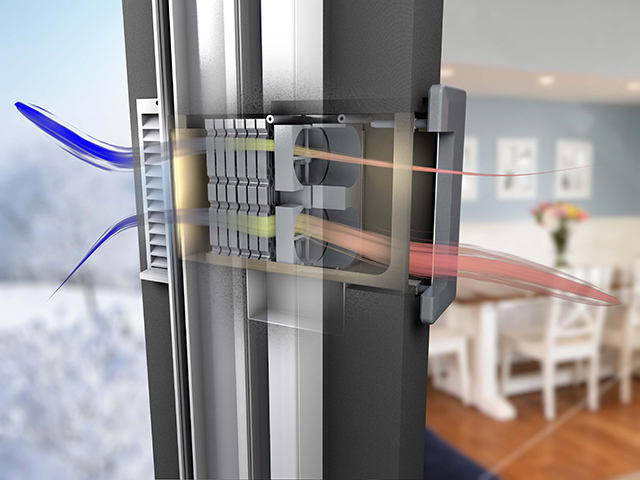 All single components around the window are combined and optimally matched in one insulation package. Each preframe is a unique and taylor-made product that takes into account the special requirements for each building. 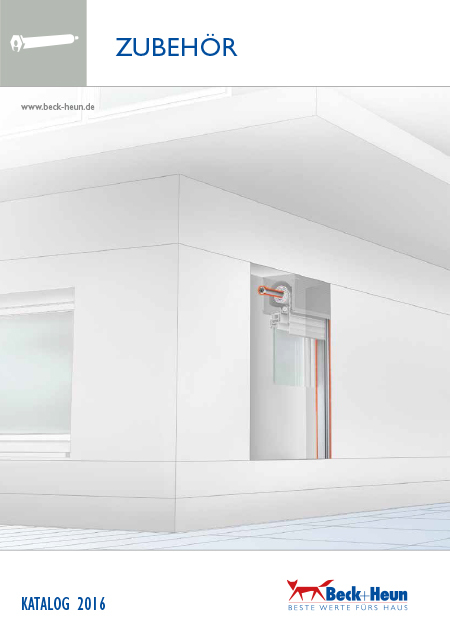 In addition to the airtight building envelope, the German Energy-Saving Ordinance (EnEV) also requires an adequate minimum of air exchange. Verification in this regard occurs mathematically on the basis of DIN 1946-6. 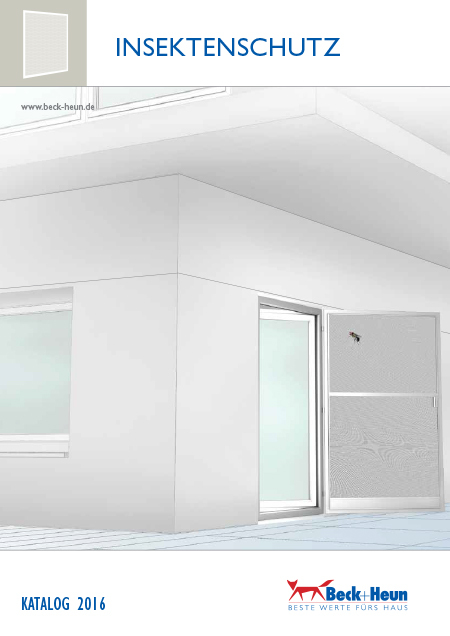 A ventilation concept is created that describes the measures for an adequate air exchange – even with temporary absence of the residents and at night. With AIRFOX® you satisfy these legal requirements! 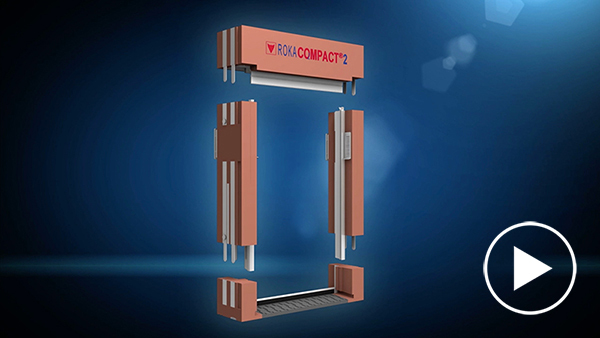 ROKA-CO2MPACT® with the optionally integrated AIRFOX® is the first preframe system for window installation with feel-good guarantee. 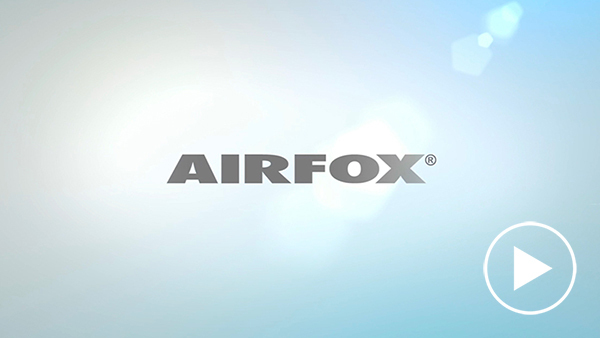 AIRFOX® ensures a lasting pleasant climate in the room: Stale air is diverted to the outside and filtered, fresh air is resupplied from the outside – entirely without pollen and pollutants. 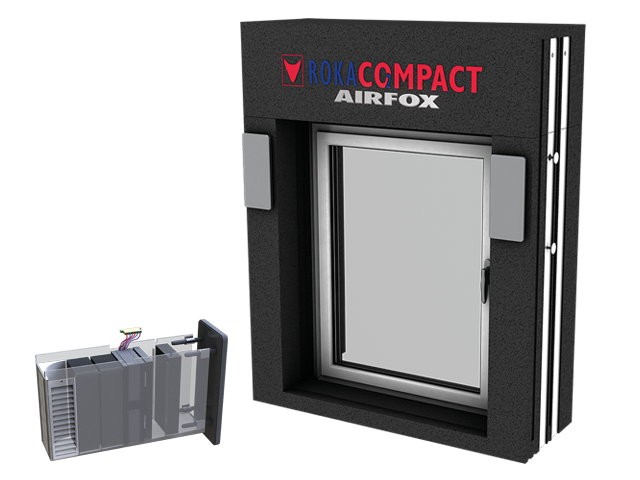 In this regard, AIRFOX® is not only extremely quiet, it also prevents thermal losses through opening of the window, as well as mould growth due to ventilation deficits. Thus a perfect living atmosphere is guaranteed – and it is guaranteed on every day. A continuous exchange of air regulates moisture and ensures a pleasant climate. Mould formation due to ventilation deficits is prevented. 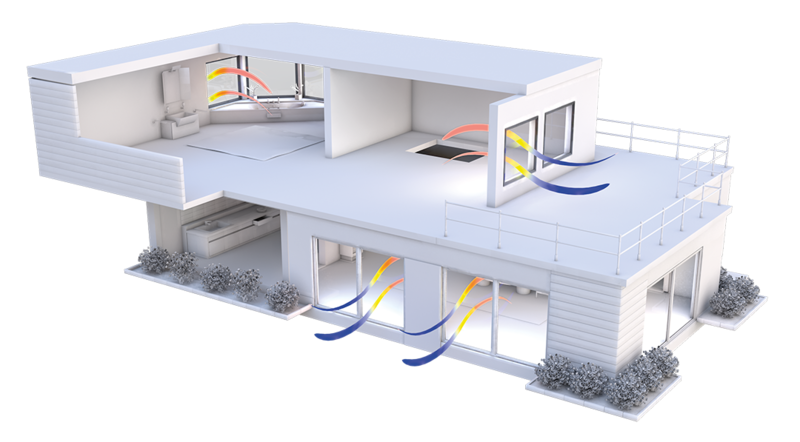 In spite of regular ventilation, no energy is lost. Do you require personal consultation?